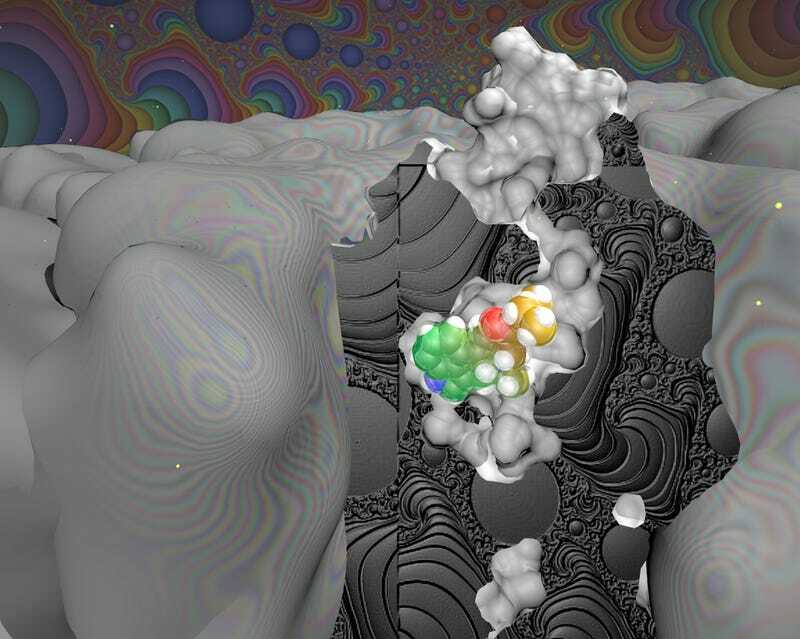 Ever since Swiss chemist Albert Hofmann accidentally synthesised LSD in 1938, scientists have wondered how the drug works in the brain, and why its potent effects can last as long as 18 to 24 hours. 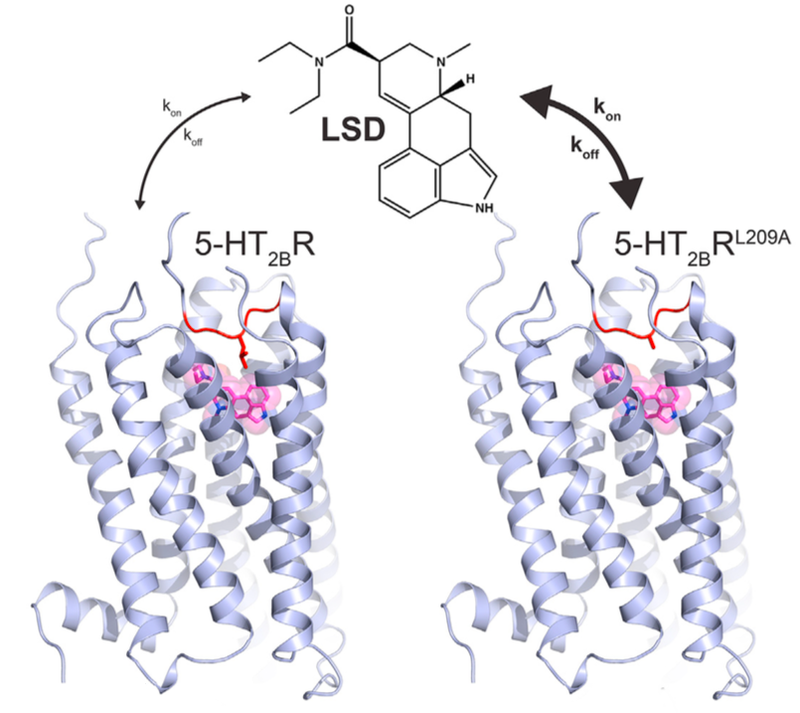 Roth used a technique known as x-ray crystallography to “freeze” LSD while it’s still clinging to the brain’s serotonin receptors (which are located on the cell membranes of nerve cells), allowing his team to capture and analyse direct images. To create this atomic-scale snapshot, the researchers dissolved the receptors in water, then slowly took the water away. Using a series of experimental tricks, they continued to pull the water away and “convince” the molecules to sit still, making them crystallise. “It’s sort of like letting soup sit out overnight,” explained study co-author Daniel Wacker. “You’ll notice salt crystals at the bottom. That’s because the salt in the soup is dissolved in water, but then as water slowly evaporated over time, salt molecules latch onto each other to stay stable. 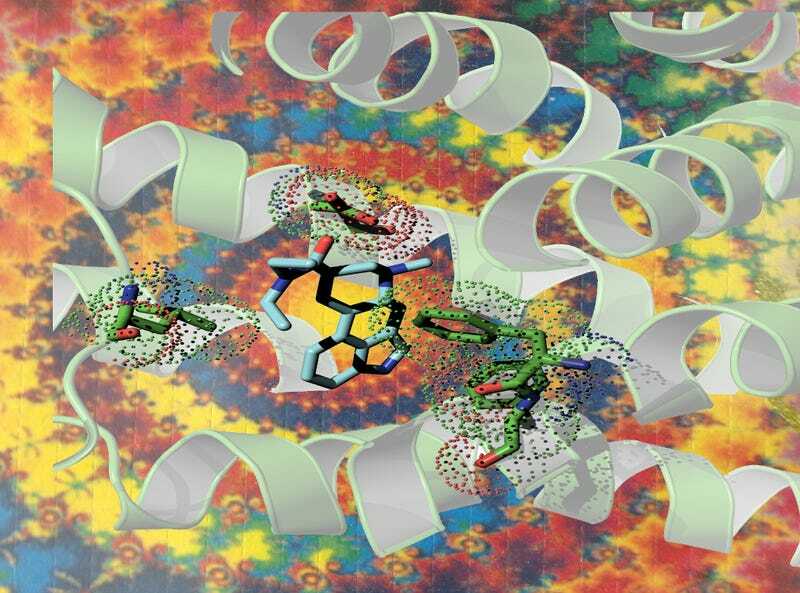 The result: crystals.” Wacker makes it sound simple, but scientists have been trying to crystallise LSD since the 1990s.